UCLA students participating in an activity. WESTWOOD—“I’ve never felt so bitterly disappointed in my life,” said freshman Emily Offshore. Like many others, Offshore visited UCLA’s Enormous Activities Fair (EAF) to view the activities. Offshore is not alone in her confusion. Every year, roughly 8,000 new students enroll at UCLA and attend the EAF at the beginning of the year. The name of the festival remains a mystery, however, as most activities remain regular sized. As the confusion continues, students have begun to form a petition and question officials. 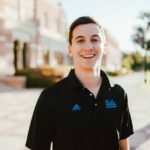 Applebaum himself has sent several emails to various UCLA staff members, trying to find any sort of explanation for the misleading name of the activities fair. Students interested in signing the petition should be able to find any number of student protesters on Bruinwalk with clipboards and stickers.